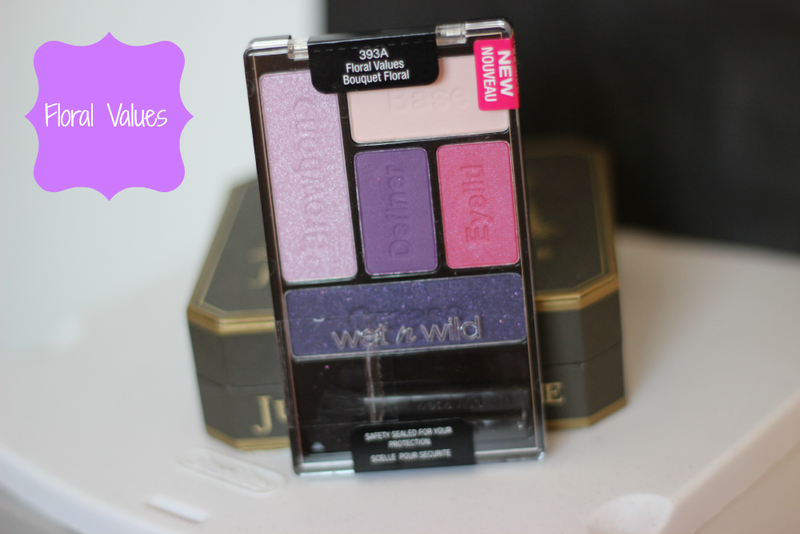 Hey girls, I have another post on the new Wet N Wild palettes. 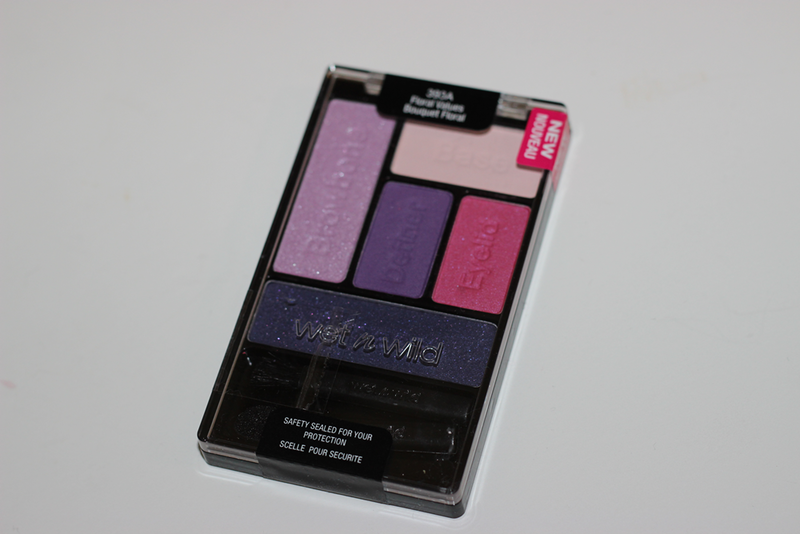 This one is in the shade Floral Values which has purples and a pop of pink. 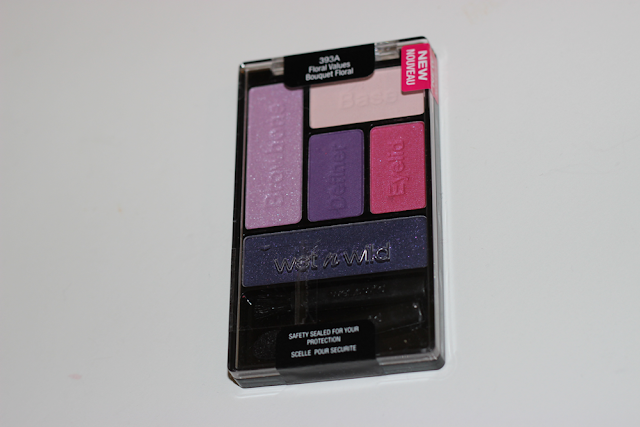 This one caught my eye the most because I do love the pop of pink in the palette. Floral Values comes with a light shimmery purple for the browbone, a matte cream color for the base, a bright pink for the eyelid, a matte medium purple for the definer and then a dark shimmery blue for the crease. I was impressed with the color selection for this palette because the colors all go to well so easily. The colors weren't chalky, but they weren't very pigmented. 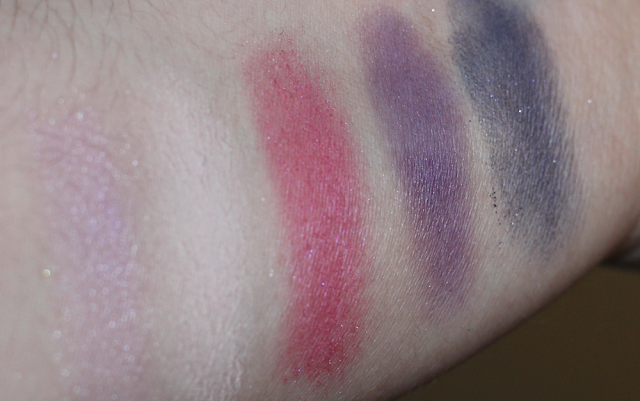 The swatches below were swatched twice, so you really need to apply it. 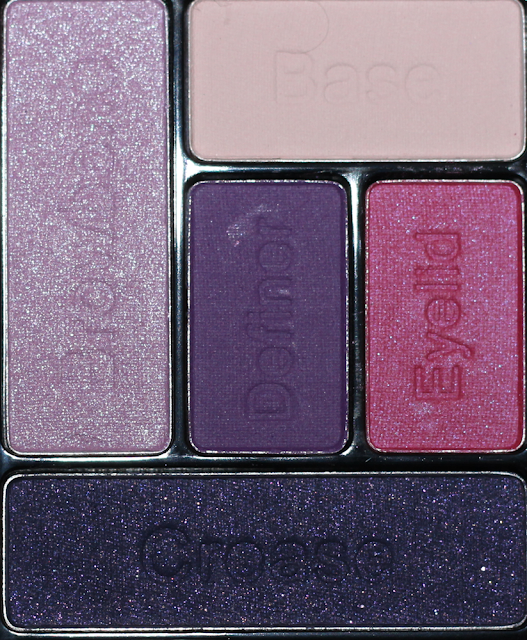 awe, I wish you could get these in the UK too, I love these palettes!